The Department of Prevention of Food Adulteration was constituted by Government of N.C.T of Delhi vide notification No.F.4(178-CC (V)) dated 19/6/1978. Objectives: To ensure availability of unadulterated, safe and wholesome food for human consumption to the consumers. To educate and create awareness among the consumers regarding possible adulterants in food articles and labelling requirements on the packages of food, so that only unadulterated and properly labelled food articles are purchased by them. Department Of Prevention Of Food Adultration. Govt. Of N.C.T. Of Delhi. A-20 ,Lawrence Road Industrial Area, Ring Road ,Delhi-110035. 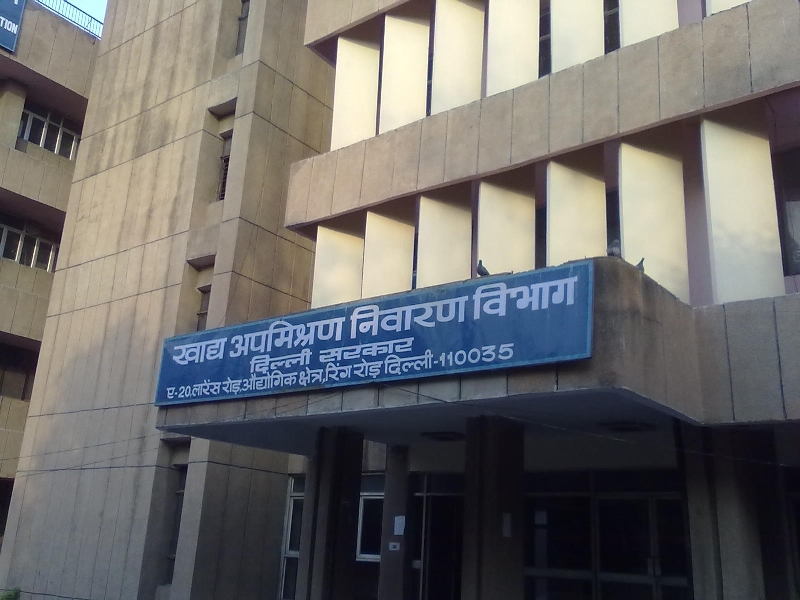 * SDM, Najafgarh, BDO Office, New Roshanpura, Najafgarh, Delhi. How to Test for Food Adulteration? will flow immediately without leaving a mark. 5 ml of milk in a test tube and add 2 drops of bromothymol blue soln. Development of blue colour after 10 minutes indicates presence of urea. colour comes out on paper. a magnet through the sample. Iron will stick to the magnet. chilli powder settles slowly when put in water. teaspoonful of melted ghee or butter with equal quantity of Conc. colour in lower layer shows the presence of vanaspathi. may use look nail polish remover.